This page will let you behold the beautiful setting of Patejdlova Bouda and provide you with information on what to expect when you arrive. Like where you will be sleeping when you get tired and what you will be doing when you get bored (besides studying). Your address: * Your address was not specified. Destination address: The destination address was not specified. 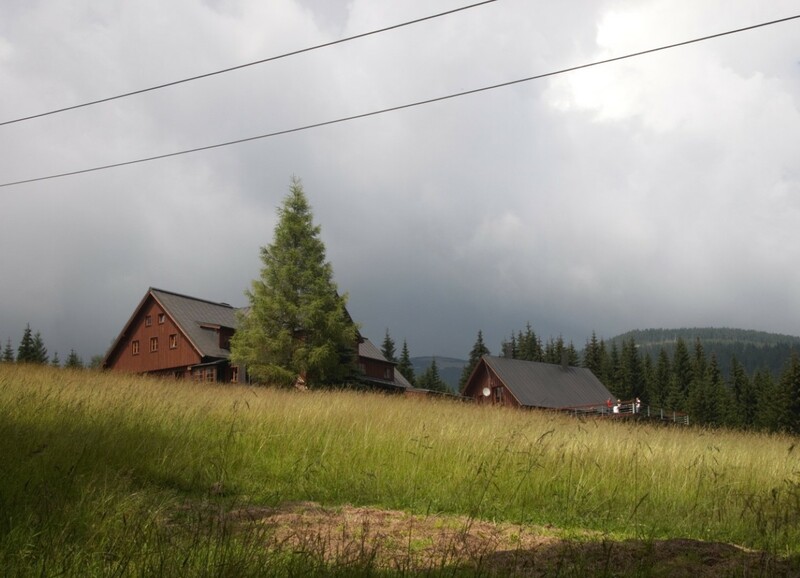 The summer school will be held in the Patejdlova Bouda chalet near the beautiful town of Špindlerův Mlýn with ski slopes towering over it in the verdant Giant Mountains. The cottage was reconstructed 7 years ago, and stern but kind housekeeper takes good care of it so it looks like it was built just a few years ago. The terrace was partially renewed last year. The maximum capacity of the Patejdlova Bouda cottage is 45 beds and there are 3-bed and 4-bed rooms available for the participants. Each room is equipped with sanitary facilities. Bed linen is also provided. There will be a complimentary sauna and a jacuzzi at your disposal. If you intend to use these services, do not forget to bring an appropriately sized towel and a swimsuit. If you are more of a sports fan, there are lots of opportunities to satisfy your thirst. Are you a table tennis enthusiast? A fierce dodgeball or volleyball player? Want to play badminton or throw frisbee around? You can try it all. If you prefer running or hiking, the surrounding hills provide a perfect setting. 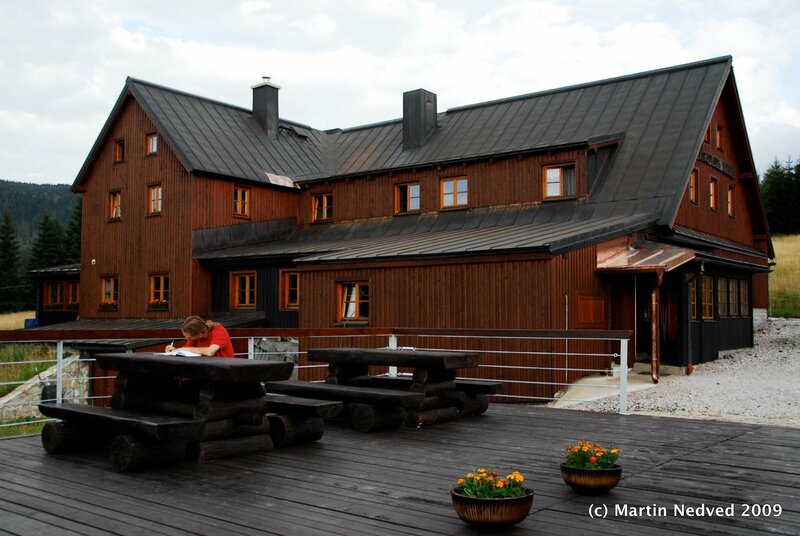 The summer school will be held in the Patejdlova Bouda cottage, the town of Špindlerův Mlýn, the Giant Mountains, Czech Republic. The maximum capacity of the Patejdlova Bouda cottage is 45 beds and there are 3-bed and 4-bed rooms available for the participants. Each room is equipped with sanitary facilities. There will be a complimentary sauna and a whirlpool at your disposal. If you intend to use these services, do not forget to bring an appropriately sized towel and a swimsuit.